We found violations of their own Policy and we report on those violations found and compare them to the allegations against the only two members of the Board whose practice objective is the management of vertebral subluxation. 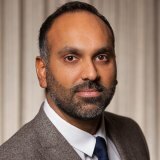 Parm Rai DC is a graduate of the chiropractic program at Southern California University of Health Sciences registered for practice in BC in 2006 and serves on the Board of the College of Chiropractors of British Columbia. Two of the chiropractors serving on the College Board will be discussed together since they were the only two current College Board members to have complaints filed against them and they are the only two chiropractors on the Board that Bethany Lindsay from CBC News included in her review of chiropractors’ websites. They are also the only two Board members that profess to manage vertebral subluxation including its effects on the nervous system. We thought it was very interesting that she conveniently left out all the other Board members whose websites have unsupported claims that are glaringly in violation of the Board’s Policy yet she decided to highlight Rai and Desaulniers. So the public that the Board is pretending to protect from unscrupulous advertising didn’t actually complain about any advertising. The complaints actually came from other chiropractors who are in market competition with Rai and Desaulniers. Even better are that complaints came from “internal investigators” at the College who were spying on the Board members. How strangely convenient that the Board’s “internal investigators” didn’t find the plethora of Policy violations on every other Board members websites that we did and there are no complaints against them. Both Rai and Desaulnier have stated they do not intend to remain on the board after their current term is up and who can blame them after being the subject of a witch hunt by their own Board and the media. Parm Rai DC is a graduate of the chiropractic program at Southern California University of Health Sciences and registered for practice in BC in 2006. Gil Desaulniers DC is a graduate of Life University College of Chiropractic and was licensed in BC in 2008. Desaulniers is a member of one of the world’s largest chiropractic families with 44 chiropractors in his extended family. Unfortunately for Lindsay, the ad she used to try and support her claim that Desaulniers and Rai were claiming they treat autism or ADHD says nothing of the sort. And the Policy adopted by the Board does not say that chiropractors cannot treat people with autism or ADHD. In fact Rai’s ad states chiropractic is more than just back pain which is what many of the other board members also state on their site. The difference is in the secondary health outcomes each side is claiming are a result of their care. And these are important distinctions that are generally lost on a layperson like Lindsay as well as on chiropractors who are unfamiliar with the management of vertebral subluxation or even public health for that matter. In fact, this issue is the single unifying reason for all of this commotion in the first place. So if one wants to understand what’s going on, you have to start there. 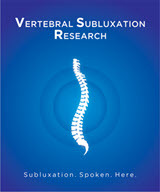 While it is not the purpose of this piece to get into the details of this distinction it is worth noting that vertebral subluxations have been shown to have secondary health consequences such as those found in people who suffer from neurodevelopmental disorders and people who have their spines adjusted by chiropractors have reported improvement in these secondary health outcomes. There is also research to support it and in an evidence based model that research would be considered and incorporated into the management decisions made by the chiropractor and the patient. Many laypeople are familiar with the fact that not all chiropractors practice in the same manner. The differences go back to the beginnings of chiropractic and the divide has historically been described as “straights” and “mixers” where straights tend to adhere to a traditional, conservative approach focusing on the analysis and correction of vertebral subluxation as opposed to the mixer model where practitioners claim they are trained as primary care providers and can treat most everything. In more recent history another group has emerged which is most consistent with the issues facing Canada. This group considers themselves “spinal care specialists” and contend they are trained to treat all manner of spinal problems, diseases and syndromes. Many expand beyond the spine such as some of the BC Board members who claim to be experts at treating all the other joints in the body as well. The mixers and spinal specialists cloak their practices in “evidence” even though they actually have less evidence for what they are doing than what the subluxation only faction is doing. 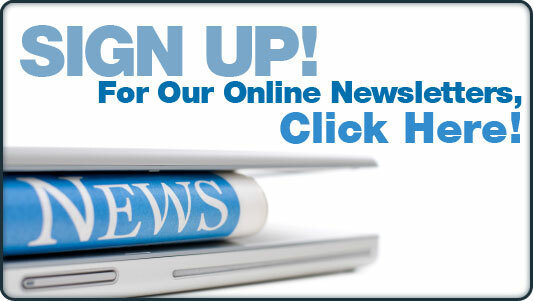 Just take a look at the websites for Olson, Anderson, Murani and Suchdev. Look at all the claims they make with little to no research to support them. Never mind enough – what about the level of research required by their own Policy? Then compare their websites to Rai and Desaulniers’ sites. You will see a distinct difference on the focus of the care provided. 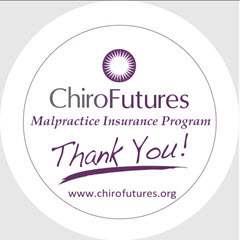 Chiropractors like Rai and Desaulniers are clearly focused on a family practice, seeing people of all ages not just for the treatment of aches and pains like their fellow Board members but for improvement in the functioning of their nervous system through the management of vertebral subluxation. All of which is supported by research. 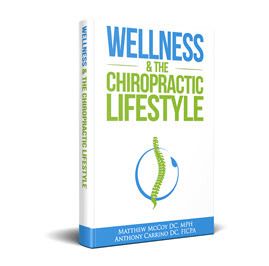 It’s also supported by clinical practice guidelines such as those from the Council on Chiropractic Practice, the Foundation for Vertebral Subluxation and the International Chiropractors Association among others. Chances are if one were to ask the other Board members about their claims and if they had any published guidelines to support those claims (never mind that met the requirements of their Policy) - they will not be able to produce any. Yet Rai and Desaulniers can produce standards of care guidelines and research that supports what they do. And remember that the interim college registrar said most of the complaints this year haven't come from the public but from other chiropractors or internal investigators at the college. Investigative reporting would have led Lindsay to the bottom line had she conducted any. The reason for this is what many chiropractors practicing in Canada, Australia, the United Kingdom and the United States know all too well. The faction of the profession that espouses a more medically oriented primary care and spinal specialist approach are openly hostile to those taking a more traditional, conservative subluxation management approach. This is because the political organizations supporting subluxation management have been successful at stopping the mixers and spinal specialists from expanding the scope of chiropractic practice into the field of medicine by blocking prescriptive drug rights for chiropractors and speaking out against the silly notion that a chiropractor can be trained in just four short years to practice primary care medicine when it takes an MD much longer. 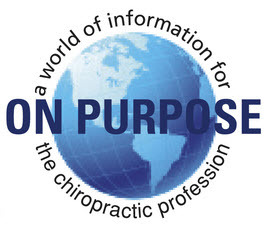 This has resulted in an organized effort throughout and between these countries that are linked by related accrediting agencies that approve the schools training chiropractors. This effort is coordinated with schools and trade organizations in each of the countries as well as internationally that seek to expand the scope of chiropractic into primary care and prescription drug rights. Note how many of the College Board members are CMCC graduates. 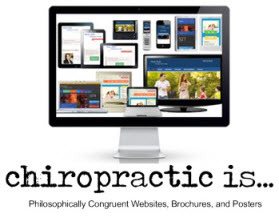 CMCC and many of its graduates are known within chiropractic as being hostile to conservative, traditional chiropractic. Suchdev is a graduate of Western States which is a broad scope school seeking drug rights and primary care status for chiropractors. Just the comments on Facebook and other social media alone after Lindsay’s story broke are evidence of the scandal with chiropractors openly calling for the delisting of subluxation chiropractors and the discussion of plans to take what has happened in British Columbia as an example and make sure it spreads to the other Canadian Provinces. Unfortunately the CBC has fallen right into the hands of the real violators of patient centered practice, patient choice and the right to practice your profession within the confines of the law as opposed to the confines of those who wish to marginalize you. We trust that when the regulatory authorities see this spectacle for what it really is that appropriate steps will be taken to reign in a rogue board and those individuals that seek to marginalize and restrain its competitors by essentially making up and adopting a Policy with no basis in scientific fact.